This circuit is designed for tracking the location of vehicles. Most oftracking systems are made by using GPS. This is very simple and cheap. Tracking systems are mostly used by fleet operators for tracking a vehicle location, routing and others. This is a very good method for preventing our vehicles from stolen. This tracking system sends us the geographical coordinates and by using these coordinates we can track our vehicle position on electronic maps using internet. By using these tacking systems we can share real time information about transportations. And also can be share real time information or position of trains and buses with passengers. Means passengers can see the real time of arriving busses or trains at the platforms on LCD or on Mobiles. Here in this system we are using the GSM module for sending the coordinates of vehicle on mobile phone via message. 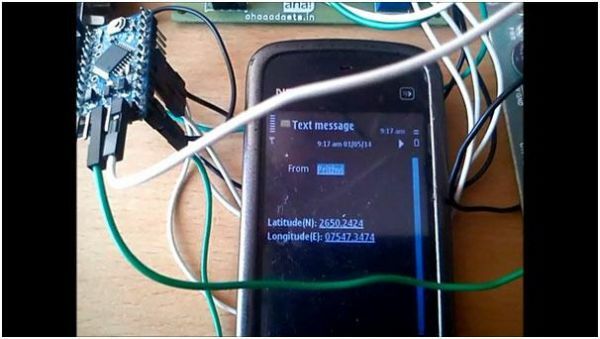 GPS is sends the coordinates continuously in form of string. 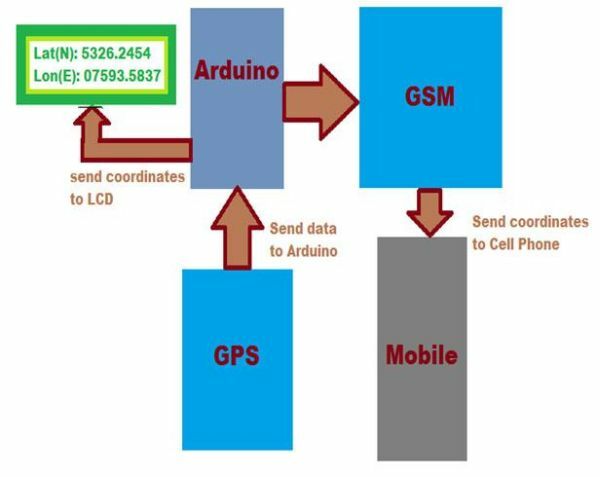 After reading this string using Arduino extract the required data from string and then sends it to mobile phone using GSM module via SMS. This information is called latitude and longitude. GPS used 3 or 4 satellite for tracking the location of any vehicle.